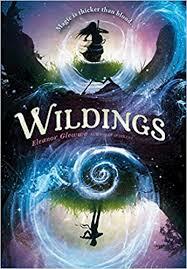 Several months ago, I read a great middle grade novel called Wildings. I loved the sad and twistedly relevant premise, the creative setting, and the powerful but not preachy themes of prejudice and segregation. And...very refreshingly...the characters fight for social change without violence. I highly recommend the book. Recently I read the companion book, Sparkers, which was written before Wildings and which also takes place a few years before. I decided to reach out to the author because I like her work so much. She obliged with an author interview! -Did you have the idea of Wildings before you wrote Sparkers? Or did your characters and land just beg for more of their stories to be told? No, the idea for Wildings came much later, when Sparkers was on its way to being published and I was starting to write my next book. I originally intended to write a direct sequel to Sparkers, with the same main characters, but my agent and editor encouraged me to write about new main characters, and through brainstorming I came up with the idea for Wildings. 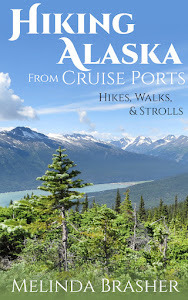 I think of Wildings as a companion to Sparkers, set in the same world, a few years later, but with new protagonists. I was glad I got to give Caleb, the little brother from Sparkers, a bigger role in Wildings, and it was also fun to show what the main characters of Sparkers were like when they were older. 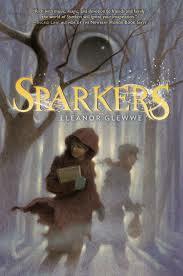 -Were there any big differences between writing Sparkers and Wildings? Writing the two books was very different. I wrote the book that would become Sparkers when I was fourteen and revisited it a few times over the years. So the path from the initial draft to publication took about nine years (though I was spending time on a lot of other things in those nine years). On the other hand, I was contracted to write Wildings, so I had to produce it much faster. I started writing it toward the end of my first year of grad school and was editing it into my third year of grad school. Also, since I had an agent and an editor through the whole process of writing Wildings, from conception to final draft, I had input from others from the beginning, which I didn't have writing Sparkers. -Who is your favorite character to write? Hm, maybe Marah, the protagonist of Sparkers, because she's probably the most similar to me. But I also really liked writing Azariah in Sparkers, Caleb in Wildings, and Aradi Imael, the music teacher, in Sparkers, because her character was inspired by a beloved music teacher I had. - If you could sit down to dinner with any writer, living or dead, who would it be? Right now, I would pick Madeleine L'Engle. Her books are so warm and humane, and I think she would be an excellent conversationalist about children's stories, speculative fiction, and religion. -Tell us a little about your road to publication. As I mentioned, I originally wrote Sparkers (it had a different title then) when I was in high school. My sophomore year of college, I accidentally found out about an Amazon-sponsored novel contest, which had a YA category and for which the top prize was a publishing contract with Penguin, I believe. I decided to enter the contest with the novel that would become Sparkers. The contest had thousands of entries and many rounds, and I made it much farther than I expected and got positive feedback from contest reviewers. I also met some other young writers on the contest message boards and decided it would be wise to try to get an agent (before that, I'd been considering submitting directly to the few publishers that take unagented manuscripts). The summer after the contest, I did a lot of online research (mostly reading publishing industry blogs), and then I started querying agents. There was one in particular who asked me to do a couple of revise and resubmits, and my senior year of college he offered me representation. We went on to do more revisions, and the year after I graduated from college, we sold Sparkers. -What are you writing now? I'm sort of working on what I hope will be my next novel, though I'm spending more time on grad school and dissertation writing these days. This project is YA fantasy, set in a different world from that of Sparkers and Wildings. But like those books, it features a lot of music. -How can readers find out more about you? 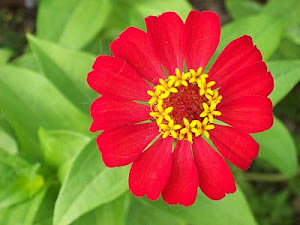 My website is www.eleanorglewwe.com and I blog there pretty regularly. -Do you have any books you'd like to recommend? I'm a huge fan of Rachel Hartman, author of Seraphina, Shadow Scale, and the just-released Tess of the Road. I also really like the Frances Hardinge books I've read, Cuckoo Song and The Lie Tree, and I want to read her more recent books. I love The Watchmaker of Filigree Street by Natasha Pulley. And last fall I really enjoyed reading Philip Pullman's highly anticipated new book set in the world of His Dark Materials, The Book of Dust: La Belle Sauvage. Thanks, Eleanor, for your answers and your time. I look forward to reading your next book.